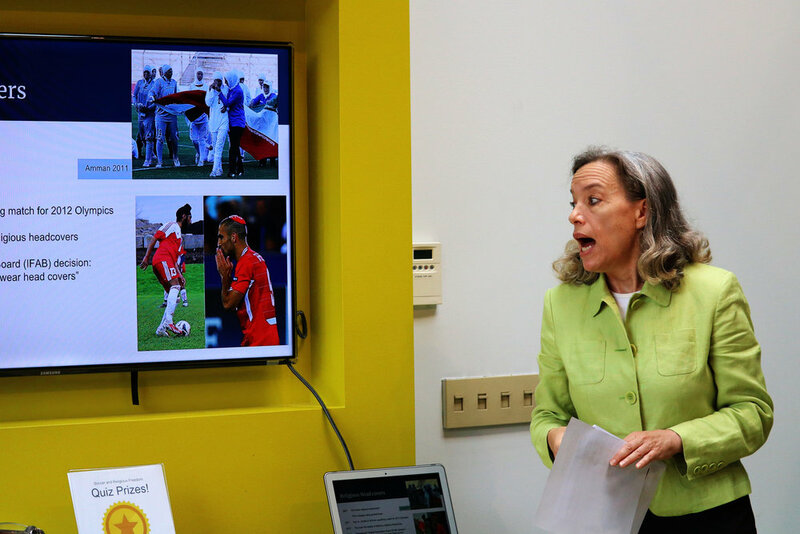 On Wednesday, June 20, the Religious Freedom Institute continued its 2018 Summer Speaker Series with a soccer-oriented discussion, “Exorcisms and Exercise, Crosses and Cross Passes: What Religious Freedom Has to Do with the World Cup”. 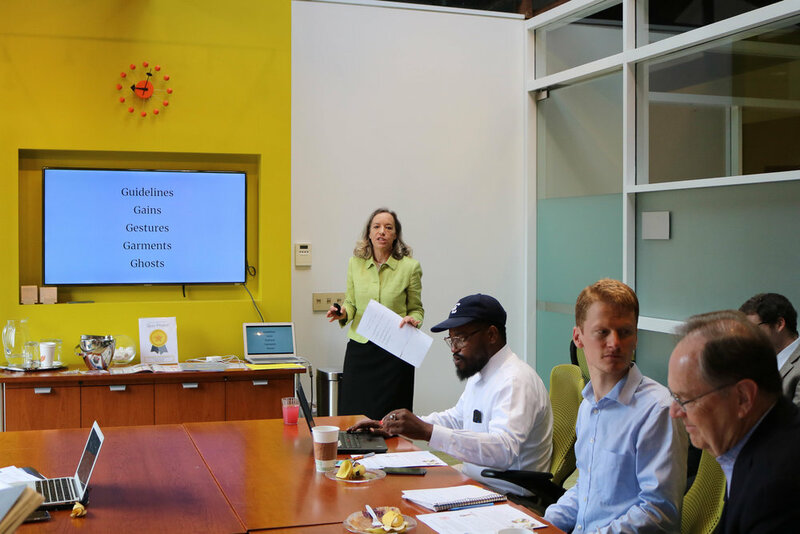 The event was led by Dr. Jennifer Bryson Director of RFI’s Islam and Religious Freedom Action Team. Attendees came in early to join RFI leadership and interns for breakfast and to watch the Portugal vs. Morocco World Cup Match. Portugal struck early with a goal by Cristiano Ronaldo in the fourth minute against Morocco, determining the fate of the match that ended in a 1-0 victory for Portugal. Dr. Bryson’s insight into the subject of religious freedom is matched only by her passion for the sport, and both were present as she spoke before the standing room only group. She covered the various ways in which relationship between religious freedom and soccer manifests itself in the Guidelines, Gains, Gestures, Garments, and Ghosts of the game at home and abroad. Dr. Bryson related stories of players thanking God on the field, such as, Egyptian player Mohamed Salah performing a Muslim prayer, Catholic Artur Boruc of Poland making the sign of the cross during a game, and Israeli striker Itay Shechter putting on a Jewish head cover (kippa) and kneeling on the field for a prayer of thanks. While there is sometimes pushback on such gestures of faith in sports, Bryson emphasized that the best way to defend your own religious freedom is to defend that right for your neighbor. Bryson spoke on how equipment restrictions can affect religious freedom. In a 2011 Olympic qualifying match, the Iranian Women’s national team was unable to play against Jordan because restrictions against religious head gear prevented Iranian players from wearing a hijab (these rules were changed in 2014). The talk was followed by questions concerning other religious freedom problems faced by athletes, the importance of sports as shared civic space between people from a variety of backgrounds, and how soccer is just one of the many sectors in which religious freedom is currently being negotiated. RFI’s NextGen Summer Speaker Series is a program that provides an opportunity for interns and young professionals in Washington, D.C. to network and to explore how religious freedom impacts their respective fields of interest. The event will begin at 4:00pm on June 27 and will be led by RFI President Dr. Thomas Farr. There is still time to register for this event.